In November, we celebrate more than one holiday that centers on appreciating those that give, and have given for us. Veteran’s Day is a holiday that DP Air is proud to celebrate and give thanks for, and each year DP Air Corporation donates to AMVETS, a charity titled American Veterans that encompasses veterans serving veterans. Their mission statement is as follows, “To enhance and safeguard the entitlements for all American Veterans who have served honorably and to improve the quality of life for them, their families, and communities where they live through leadership, advocacy, and services.” AMVETS has been a leading veteran service in the United States for over 75 years, dedicates their time to a variety of services, and is open to anyone who has honorably served in the US Armed Forces, including the National Guard and Reserves. DP Air Corporation also supports the Luke Air Force base in Arizona through the Fighter Country Partnership. 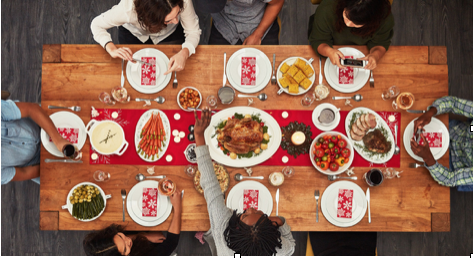 Thanksgiving is another holiday that DP Air celebrates, and even gives employees the following day off to continue to enjoy time with their families celebrating the holiday. DP Air donates to The Salvation Army, numerous children’s cancer societies, and participates in the Salvation Army Angel Tree to help those in need. While we can never repay the sacrifices that others have made for us, we can appreciate them as much as possible and do everything in our power to help those less fortunate than ourselves. PreviousPrevious post:October is Rett Syndrome Awareness Month!NextNext post:Happy Holidays from DP Air Corporation!